A classic pair of Earrings, a versatile accessory, a bestseller and a perfect gift. 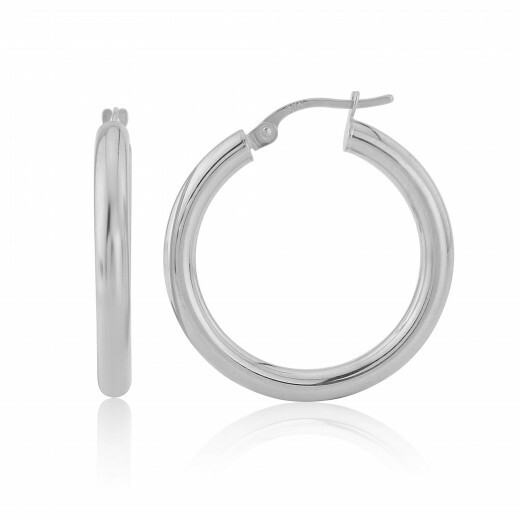 Could there be anything as reliably stylish as a pair of hoops? 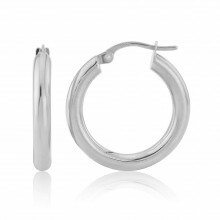 These Earrings are made from White Gold tube and have a post and hinge fastening to keep them extremely secure. Also available in White or Yellow Gold and in different sizes.